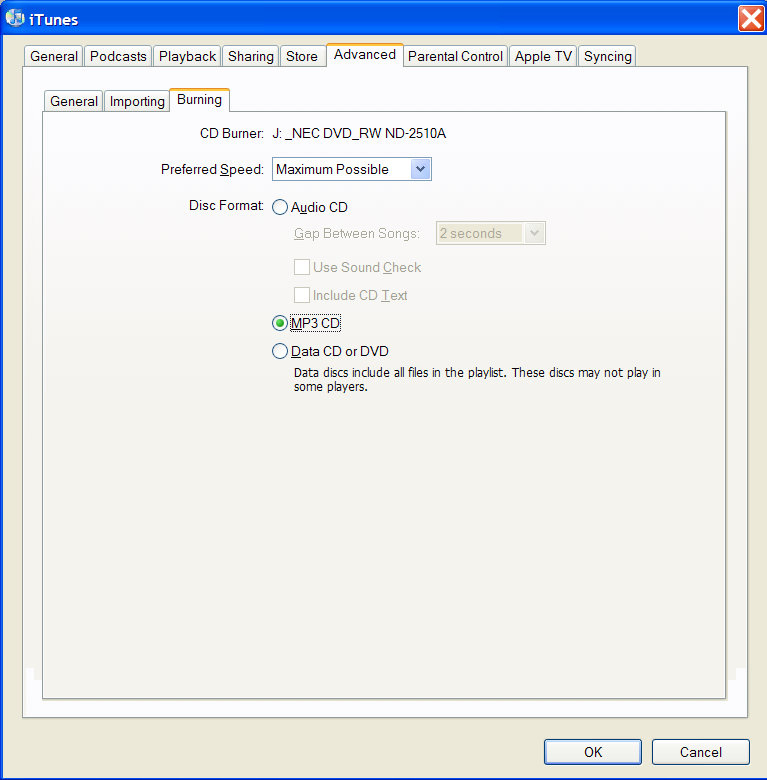 How Do I Convert MP4 and M4P to MP3? You may have downloaded a file with an MP4 extension and found that your audio player wouldn’t recognize the file. MP4 is a file format that can contain audio, video, or even still photos, but by default most audio players will not work with MP4. You’ll need a program that is specifically designed to convert your MP4 file to the MP3 format. Note that this only works for MP4 audio files, not those that contain video or other visual formats. MP3 is an audio-only file format. Look for a shareware or freeware program to convert your files, and follow the instructions. Files that you’ve purchased from iTunes come to you in the M4P format, which is a little different than MP4. M4P files are proprietary, copy-protected files – but iTunes does provide a way for you to convert these files to MP3 so that you can play them on other types of players. Make sure you have the latest version of iTunes, a CD burner, and a blank CD-R or CD-RW. Open iTunes and create a play list of the songs you want to convert. Click on Edit, Preferences, and then click on the Advanced tab. Within that window, click on the Burning tab. Select MP3 CD. Now you can click on Burn Disc at the bottom right corner of your screen. 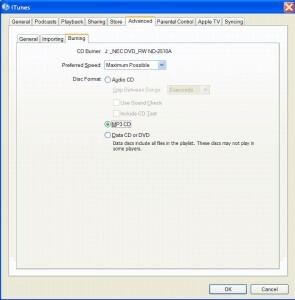 Once the CD is done, you’ll have converted your M4P files to MP3’s.